Internet Agency specialises in providing quality web design, website development, video hosting and web hosting. We also provide a complete online marketing service. Our services are ideal for new businesses start-ups and small to medium sized businesses who need superior online support at affordable prices. 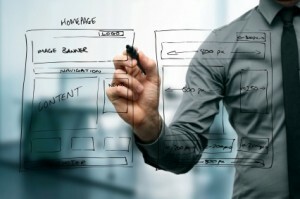 What sets Internet Agency website development apart is almost unrivaled value-for-money. Choose from our web design packages for a superbly constructed and cost-effective website. Getting the most out of your website requires attention to detail and ensuring that the key basics are done well. Internet Agency provides a complete online marketing service. From online strategy, website development, website hosting and email marketing to online advertising, search engine optimisation and e-commerce. At Internet Agency we take pride in our motto that we work as our clients online business partners, and ensure your online presence looks good, is functional and successful. Read more About Us. Internet Agency also provides expert SEO (Search Engine Optimization) advice ensuring your site gains maximum exposure with the highest search engine rankings. All our websites are constructed with in-built search engine functionality, so your site works harder for you from the day it goes live. The team at Internet Agency have varied backgrounds including advertising and marketing, business development, graphic design, information technology and audio/video production – an ideal mix for website development, web design and website management. With Internet Agency you can be assured you are working with a web design team that understands the intricacies of web development and will ensure that you have the best possible internet presence. If you have an existing website and would like to find out more about how the team at Internet Agency can help your online presence click here to contact us and receive a free website audit. If you do not yet have a website contact us now for an expert website consultation. Internet Agency specialise in the development of effective, great looking and functional websites that are very competitively priced. Whether you are a small home business, trades-person or small to medium sized enterprise, we offer a range of cost effective business website platforms to match. Once we have identified your businesses online requirements, we set up a draft website platform based on the brief we develop with you. We then email you a link to your development website and from there the process becomes very co-ordinated as we both review the site whilst the development is underway. Our website development services include standard design – so you can have your website built without needing any artwork or design collateral. In fact many of our clients adapt our suggestions for their website design into their corporate branding adding real value to smaller business or start ups. At Internet Agency we are your online business partner and work with you to ensure your new website or website redevelopment is professional and completed in a timely manner and as we work to a pre-agreed quote, there’s no surprises. Contact us now to discuss how we can get your business up and running online. To maximise the value your website offers to your business, it is essential to have an effective, customised and ongoing Search Engine Optimisation plan (SEO). 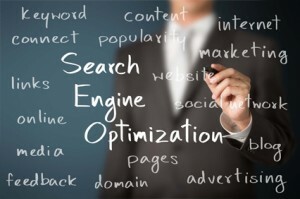 Effective SEO is a critical component to your overall online marketing plan. Search engine optimisation has two key search criteria; The first is to ensure when people search for your business, they find it quickly and easily. Often your search result can provide the key information they require (ie phone number) without then actually having to go to your website, which whilst it sounds counter productive – can actually be a good thing. At Internet Agency we specialise in ensuring your business is quickly and easily found on the key search engines – and that the details you want customers to see are displayed on the search engine. There is certainly a lot more to it than just having a website! Contact us to see how we can ensure your listing is displayed correctly. The second key function of effective Search Engine Optimisation is to stand out on the search results ahead of the competition. If someone is not specifically looking for your business, but rather searching for the products or services you offer – then you want to be one of the top businesses to show up on the search results. This is one of the most competitive pieces of real estate online – and requires considerable planning and online implementation, but for many small to medium businesses is very achievable. The main benefit is a high volume of leads. Contact Internet Agency now to find out how we can put your business ahead of your competitors with our Search Engine Optimisation strategy maps. Whether it is social media, online video, or Google AdWords, at Internet Agency we have the experience to identify the best fit online marketing solution for your business and budget. Our services include the ever popular Google AdWords (popular because if done correctly they really work). Most Google AdWords campaigns use what is known as a “Pay per Click” structure where your listing is displayed on key word searches relative to your business and its products/services, and you only get charged if the person actually clicks on the listing, which takes them to your website, or a specific page on your website. Google AdWords are an excellent advertising tool for small businesses as you can set your budget on a daily, weekly or monthly basis and monitor the results in real time. Sounds easy, but there is a bit more to it – so for your AdWords campaign overview, contact us now. EMail marketing is an absolute must have function for any business. With services like MailChimp, it has never been easier to set up a professional email communication and be provided with excellent reports and feedback. No matter how small your business you will have customers with an email and it is the most cost effective tool to keep regular contact with your customers, or to keep in front of prospective customers. Doing it right is essential. You do not want to be perceived as spam – by your customers nor the auto spam services that can shut down your entire EMail server. To find out more about setting up your own email communication plan, contact us. With a top notch website, good SEO practice locked in, a Google AdWords campaign chipping away at potential new business and providing a regular email communication to your prospects and customers, you are probably ready for the big gun of online marketing; Video. At the least your website should have an overview video presented near the top of the home page – but there are as many different video options are their are customers and products or services. At Internet Agency we were pioneers in the use of online video – so to get your own video production storyboard and quote – Contact Us now! Facebook, YouTube, twitter, Instagram, the list goes on and on. The fact is many of your potential customers are on one or more of these services and probably quite regularly. How to cost effectively put your business in front of them is the key. To find out more about Social Media marketing and how we can help you be part of the scene – Contact Us. 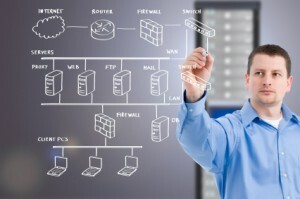 Internet Agency offers you peace of mind hosting services. All of our hosting packages include security updates ensuring your site is protected by anti spam and firewall technology. Our website hosting also includes email account support and you also receive Google analytic reports daily, weekly or monthly. We offer three hosting packages to suit every business type. Our MiniBix website hosting offer is ideal for the small home business or tradesperson. Suits a small website but is still backed with our security updates, superior email support and anti spam filters. BigBix is a perfect hosting package for most businesses requiring more functionality or reasonably light E-commerce applications and our MegaBix website hosting package is suitable for larger businesses including those with heavier E-commerce requirements. The Internet Agency servers are hosted in New Zealand and have a secure upload time record of 99%. And if there is an instance of an outage – we provide you with a text alert. A good hosting service should be reliable and invisible – but it the most important component of your online business. For reliable hosting with great service, contact us now to find out more.